2 more episodes to go! Toriko in a few hours. I bet they’re purposely being slow with the kingdom subs now just to piss us off after after a bunch of people raged from last weeks release being so late, lolol. Should change their name to Troll-Destiny. They are rushing the episodes and skipping alot of manga content just because they need rush to 39th episode so baaaaad, the most terrible episode ever yet of this anime. Man? This episode has a HUGE skip from chapters 250 Tougun to 253? Something tells me, they’ll be showing scenes of what happened in the past of SOME events. But man, there’s just too many parts like the Chu attacking Xin’s group, will that be seen in Season 3? So many questions, yet so little answers, and there are some scenes we REALLY wanna see. But guess we can only pry that the anime will think of how to cross the bridge when that time comes. dont mind whiners – keep up amazing work – thx for the next ep of Kingdom S2!!!! Firstly, let me introduce myself, i am from Shillong, Meghalaya (The Abode of Clouds)- also known as the “Scotland of the East” during the reign of the British. Rympei Consultancy Services Pvt. Ltd. is in the verge of developing an animated movie. Wish us all the very best in making it a successful venture. 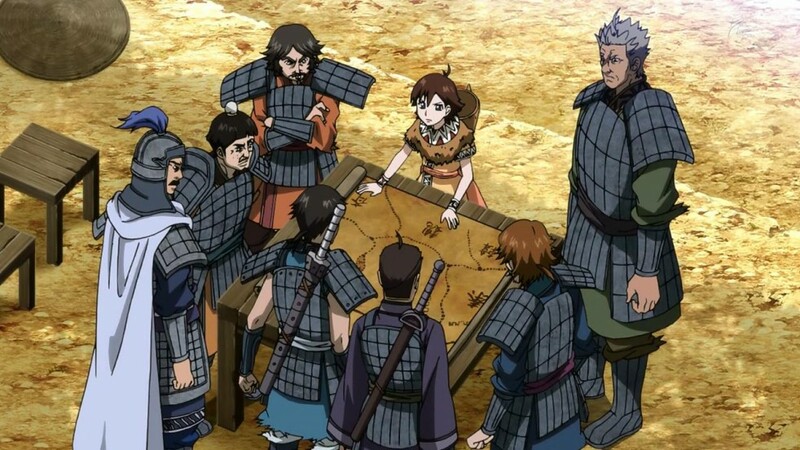 All our crew members always check out the new episode of Kingdom and download it whenever it is available in your website. RCS is wishing you a very best……………….. Thank you. His work helps not only speakers of english but also other languages​​. This here is just the tip of an iceberg. Lol, as expected of this episode, unlike the manga, they didn’t show the Queen Dowager getting it on with that guy. THANK YOU THANK YOU THANK YOU THANK YOU THANK YOU! OH GOD THANK YOU! I’m pretty sure, Kewl was talking about the time it took to translate Toriko and Kingdom and not complete the whole episode. Anyone who knows just a little bit about fansubbing, knows that it’s pretty much impossible to complete a whole episode in two hours. Kewl would’ve been referring to the translation. It’s only one process of subbing. Bout damn time this was subbed, man i’ve been fiending these past three days, like a recovering drug addict going through withdrawals, hahah. Anyway, thanks for the timely and consistent releases, trollolol. Seriously though, appreciate everything. lol i know what u mean brother! Thanks for your hard work as always!